Buy Set of 5 G.I. 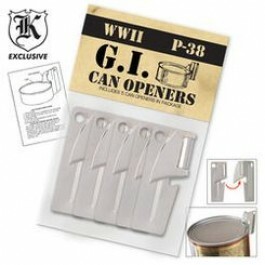 Can Openers , from Budk - RBC VISA for $2.99 only in My e-commerce. 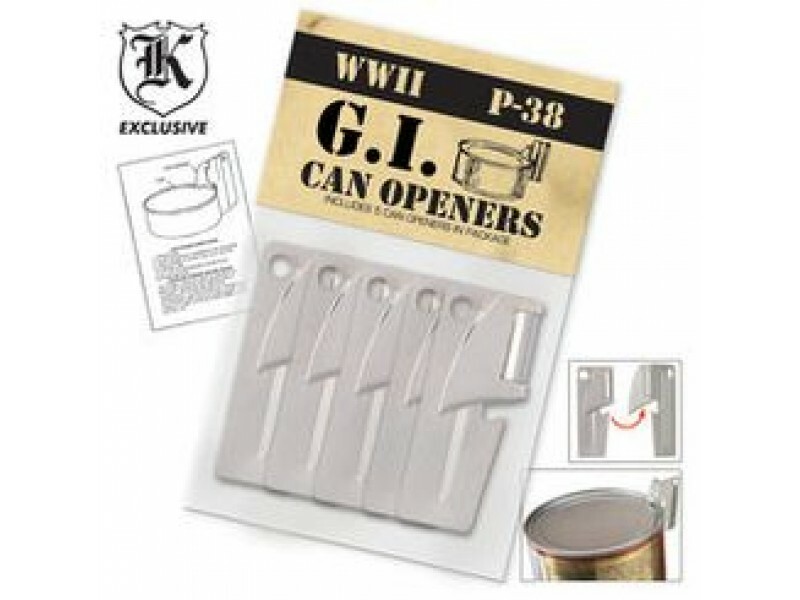 These GI type P-38 Can Openers each measure 1 ½" long and fits on a key chain. Great tool to have when hiking, traveling or hunting! Each set includes five can openers.